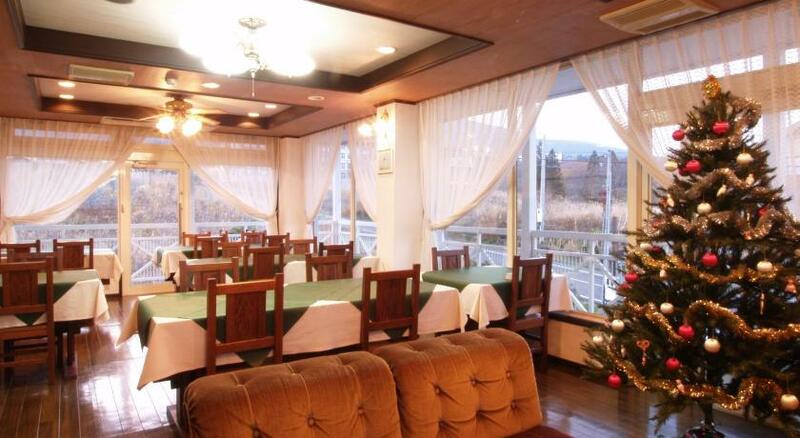 This homely Akakura accommodation is only a short distance to Shin-Akakura (Akakan) ski area. Mine host Ogasawara-san is a well known local identity and will happily share his in-depth local Myoko knowledge with you. Boasting natural hot spring baths and a comfortable lounge area with a fireplace, Akakura Yours Inn is cosy accommodation located in the highland resort area of Myoko. Free Wi-Fi is provided in each guest room. Ikenotaira Onsen Ski Resort is a 10-minute drive from the inn, while Akakura Golf Courses are a 12-minute drive away. JR Myoko Kogen Station is within a 5-minute drive, and a pick-up service is available if requested 1 day in advance. Guests at Yours Inn Akakura can leave their luggage or ski equipment at the front desk. There are a large changing room and a dry room on site. Discounted ski lift tickets can be purchased at the property. Each room is fitted with a TV, a fridge and an electric kettle. Yukata robes are also provided. Some rooms come with an ensuite bathroom. Akakura Yours Inn provides all-natural water in their onsen hot spring bath. Enjoy a soothing, healthful and invigorating soak after a big day of hitting the slopes. Book Myoko Yours Inn Akakura now! Book Akakura Yours Inn now!